How to create a map of demographics using Canada Census Data? Every time I try to make a query table it gives me this error - 000152 : Invalid input data. I have added new fields, tried changing the .csv, and now I am out of Ideas. If I understand your question correctly, you just need to join the csv to the boundary shapefile. You should use a table join. Add both datasets to ArcGIS. Open the attribute table of the dissemination area. 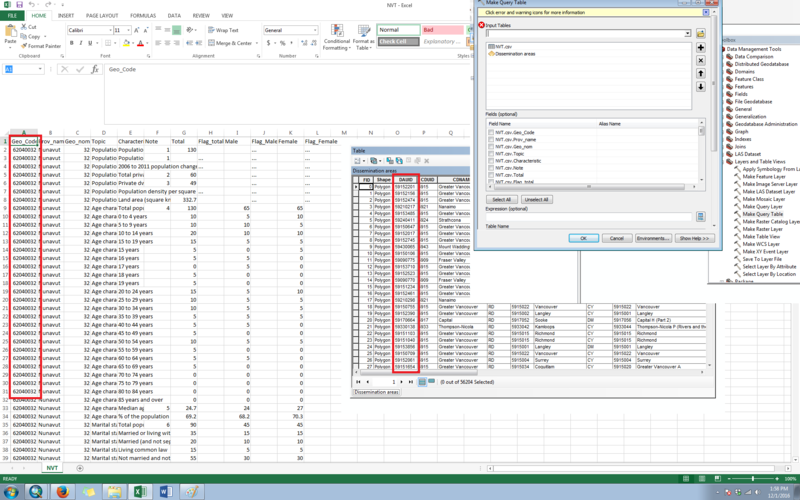 Add a join with the csv based on a common field (dissemination area name maybe?). 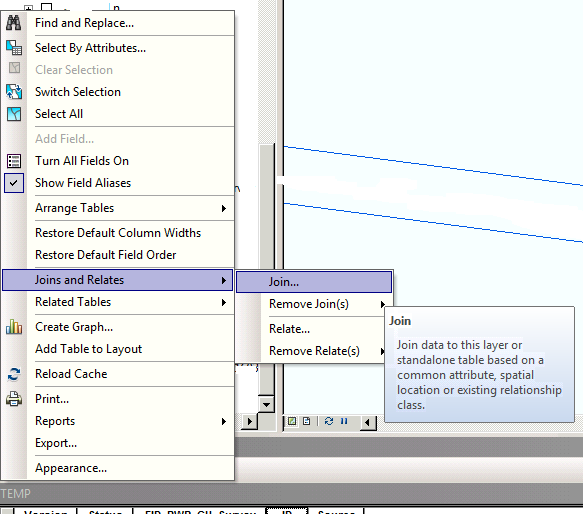 If you want the join to be permanent, you'll need to export the joined layer to a new shapefile or feature class OR use the tool 'Join Field' to join specific fields from your CSV to your shapefile. Income data on a block level: how does a newbie do it? Where to Dowload Village layers for India with census 2011 information?